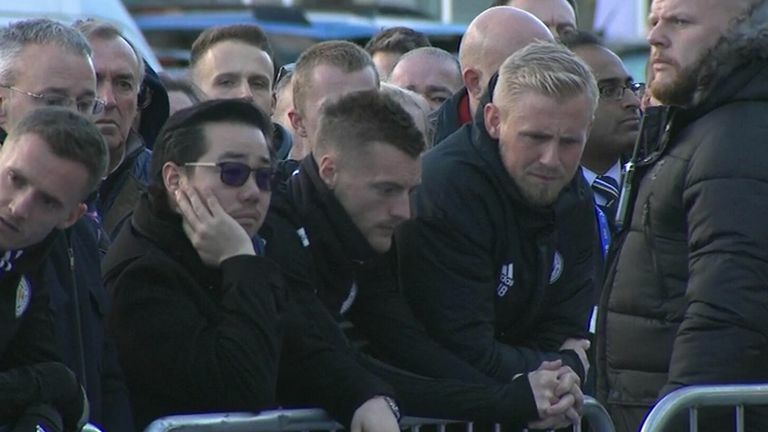 Fans will be able to leave messages at the King Power Stadium "for the foreseeable future"
Leicester City have opened a book of condolence at the King Power Stadium for fans to pay their respects to owner Vichai Srivaddhanaprabha. Srivaddhanaprabha was one of five people who died in a helicopter crash at the club's stadium on Saturday. The book, which will be shared with the Srivaddhanaprabha family, will be available in a marquee outside the club shop from 8am until 10pm "for the foreseeable future". Supporters unable to visit the stadium will be able to leave a message in an online book of condolence via the club's website. 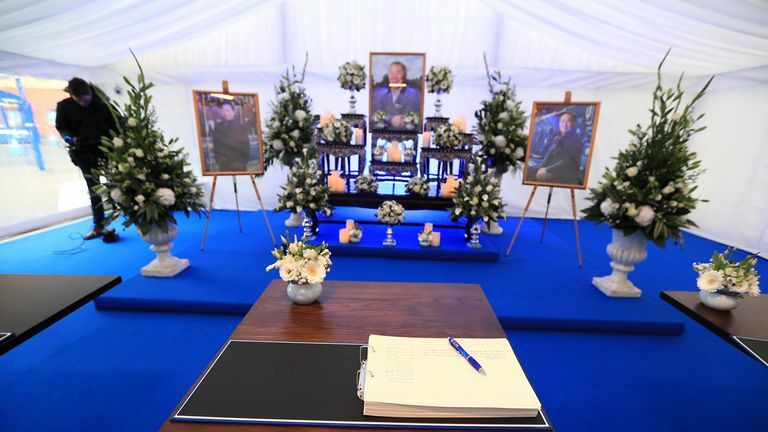 The entire Leicester City squad joined the owner's family in paying their respects on Monday as they observed the vast amount of floral tributes and messages outside the stadium. 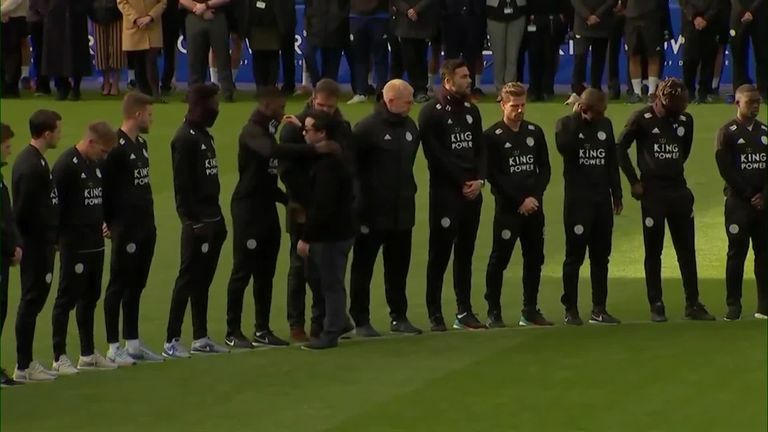 His son, and Leicester vice-chairman, Aiyawatt, led a procession of around 30 people as they made their way to the front of the shrine to lay down a wreath on Monday. A Leicester City statement on Monday evening read: "The club would like to thank supporters for their overwhelming support and kind wishes since the tragic events of Saturday evening." The Foxes have postponed Tuesday's Carabao Cup game at home to Southampton. Srivaddhanaprabha wrote off the club's £103m debt when taking over in 2010, and was a beloved figure among the players, rewarding the title-winning squad with sports cars and all-expenses-paid holidays. The 60-year-old also engaged with the club's supporters, giving fans free bus travel to away games as well as free beer at home matches, while his support towards the wider community included two separate instalments of £1m to Leicester Royal Infirmary.